There are many forms of meditation and contemplative practices. There are a variety of books, videos, and audios available that instruct and guide meditation, but the most effective meditation instruction is the one that meets you where you are. This is one of the benefits of having a personal relationship with a teacher. Each one of us can benefit from being deeply listened to and from receiving individual instruction. 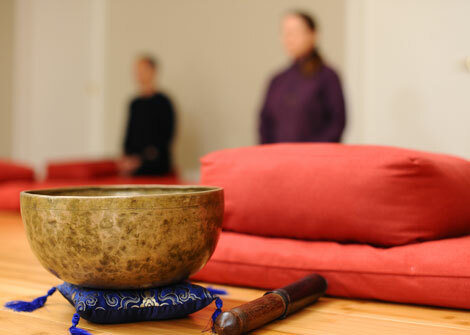 If you are beginning meditation, we will help you learn a practice that meets your needs. If you are seeking support to re-connect to and maintain a regular practice, or are an established practitioner needing guidance on the path, you may benefit from personalized instruction. Meditation will help you connect to your true nature, find inner peace, make healing transformations, and improve the quality of your life. The descriptions you will find under our listing of services explain mindfulness-based stress management, contemplative mentoring, imagery for healing, and mind body practices helpful as adjuncts to medical treatments for cancer and other serious illnesses. Through this offering, Meditation Instruction, let us support you to establish and maintain a regular meditation practice. In addition to the practice of mindfulness and loving kindness, we teach practices relating to abiding in the nature of mind, Tibetan yogas of body and breath, and sound healing practices.